I resented reading when I was a child. It took a great many years of persuasion for me to finally yield. 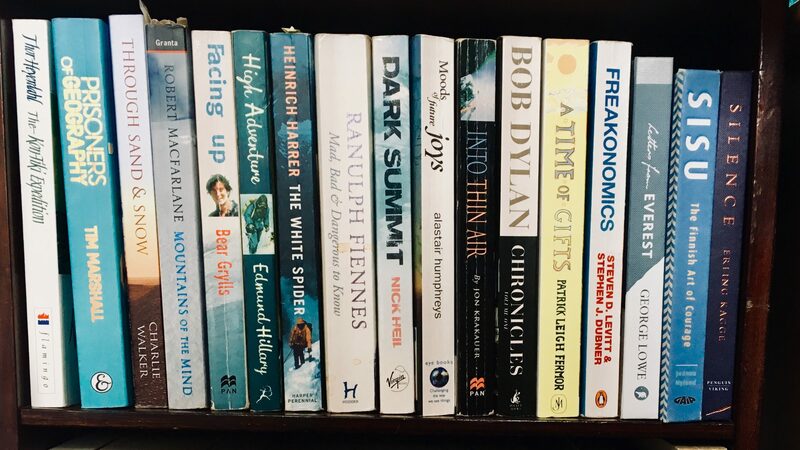 A string of obsessive reading urges followed in the form of sporting exploits, tales of adventure, Harry Potter, Philip Pullman, Agatha Christie or Bill Bryson. As I grew up and matured, I began to read more. I loved absorbing myself in fictional fantasies almost as much as being in awe at the achievements of others in narrative non-fiction. I loved reading and learning from non-fiction books about human psychology, military history, travel stories and, of course, tales of human and sporting endeavour. My bookshelf at home is something I am proud of. Not because it shows what I have read (and in theory remembered) but rather as a collection of memories. It’s almost a timeline of one’s life and its fluctuating interests. I can look at a book on my shelf and remember what stage I was in life when I read it, why I read it and how it made me feel. The really good books are the ones I can vividly remember where I was when I was immersed in the pages, what the pictures are and what the front cover looks like. Those are the books that stick in the mind. Books have the same impact as music does in that regard. Music can stimulate memories, stir emotions and teleport one’s mind back to a certain place or moment. For some people it a wedding song, a messy breakup, a memorable party or being on a road trip with friends. Books do the same thing but in some ways, the sentiments are even more intense. Reading is a solitary activity that takes time and focus. Audiobooks slightly undermine this point but nobody can read or listen to a book for you. You have to commit to buying it, absorbing the words and then potentially spend hours in someone else’s mind, in stark contrast to your own vibrant thoughts, to finally turn that final page. We’ve all those moments when you’re trying to sleep but you just want to read one more page…if you haven’t then I’m convinced you just haven’t read the right book yet. I love seeing the creative and beautiful way that the very best writers can manipulate the English language to impose stark and intense images in the reader’s head. It is the way Erling Kagge utilises the concept of reflection and physical surroundings in his wonderful book Silence. I’ve just finished reading The Best of A.A. Gill and I remain consistently in awe at his wit and precise use of words. One of my favourite parts of a British weekend is completing a ParkRun and heading home for brunch to read the Saturday Times Magazine with Caitlin Moran, Robert Crampton and Giles Coran. Their wit, cynicism and often heartfelt sentiments are as varied as they are impressive. Another one of my favourite books, Mountains of the Mind by Robert Macfarlane, is another example of using words to beautifully describe feelings. I quoted MOTM in the final chapter of In Search of Sisu for that exact reason. Robert explains the human draw to mountains, the relationship we have with nature and the humility required to tackle the world’s toughest peaks. If you don’t already then I cannot recommend following him on Twitter or Instagram enough. Beyond MOTM, he’s written The Lost Words which is one of the most gorgeous books I have the pleasure of owning. His “Word of the Day” is consistently informative and inspiring. Reading has also inspired me over the years and perhaps that’s a key reason why I’m so fond of it. Because of a potentially wonky personality trait, I have the propensity to get very absorbed in a good book. I love that though, getting emotionally involved in a story. It might well be fictitious and unlikely to have any genuine impact on me, but sometimes it can. I read Bear’s book Facing Up when I was an impressionable 17 year old. That was genuinely the trigger that started me to climb. I was halfway through the book when I decided I also wanted to climb Everest. 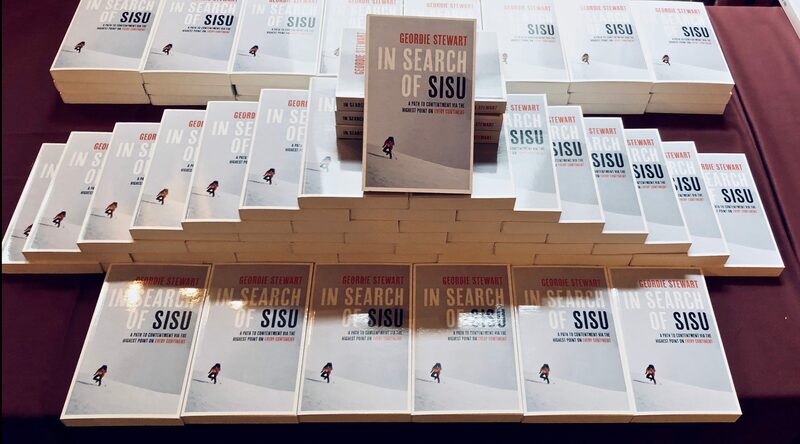 Reading my friend Charlie Walker’s book Through Sand and Snow was eye-opening and inspired me to write In Search of Sisu the after I turned over his final page. What those two books have in common that really hit me was adventure and vulnerability. They are both great stories – Youngest Briton to climb Everest and cycling 40,000 miles around the world – but they were also told extremely well. They were told in a way that made the reader simultaneously surprised and engrossed. I would recommend them both if you fancy reading about great adventures. Forget the TV and fame that Bear Grylls is now, this was him just writing a book as a young man who had just achieved a lifelong goal after numerous setbacks. 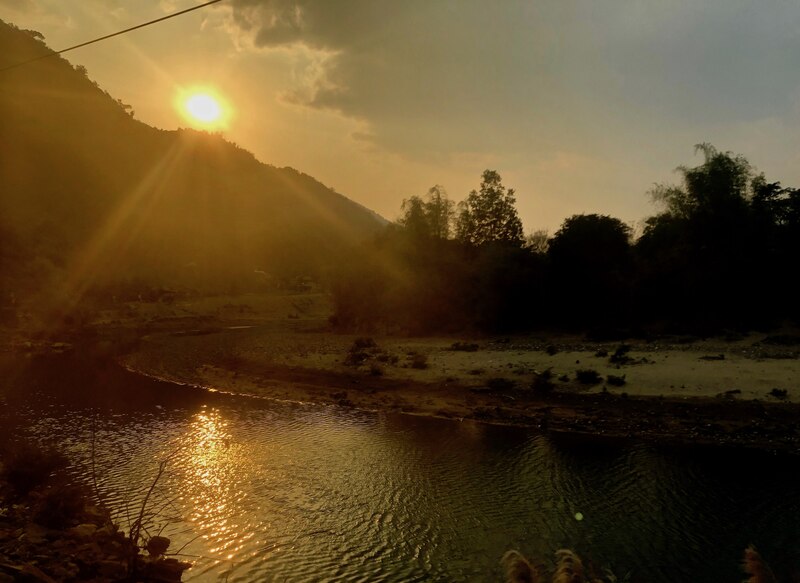 As for Charlie’s story, I followed it over those four years and yet remained ­­ open-eyed when I read the book ­– I think he knew he would shock a few people with that one. Reading and books are a journey and one I love going on. I don’t know whether In Search of Sisu will have the same impact on anyone. Writing it was an amazing process and one I’m grateful for. I probably enjoy reading more now than ever before. I can understand more now what it takes to sit down and convey one’s thoughts so honestly and openly. Within reason, regardless of the writing quality, books are an essence of someone’s character and creativity. They are a small insight into someone else’s mind. They take time and effort to write and they take time and effort to read. That’s the beauty of books. In our modern world of quick fixes, Deliveroo, Snapchat and Instagram, there’s something increasingly alluring about reading a book. You can’t really cheat your way through it, not if you really want to read it. That’s why I love bookshops. They represent such dedication and focus, so many hours of introspection and research. Books will continue to inspire me. They will continue to give me an outlet to remove myself from my world and, for a brief period of time, delve into the world of someone else. previous post: Should I self-publish my book?